Helloplant, a new Kickstarter project, is a sensor that you insert into the soil of your pot to keep tabs on your houseplant. The associated smartphone app will ping you if the Wi-Fi-connected sensor detects that your plant is drying out, and it can tell you where the plant is getting light. The recommendations are customized based on what kind of plant you label it as in the app. Best of all, it’s cheaper than other smart gardening solutions, coming in at just under $26 per sensor. Parrot’s smart pots use embedded sensors to monitor and tend to your plants whether you’re home or not. 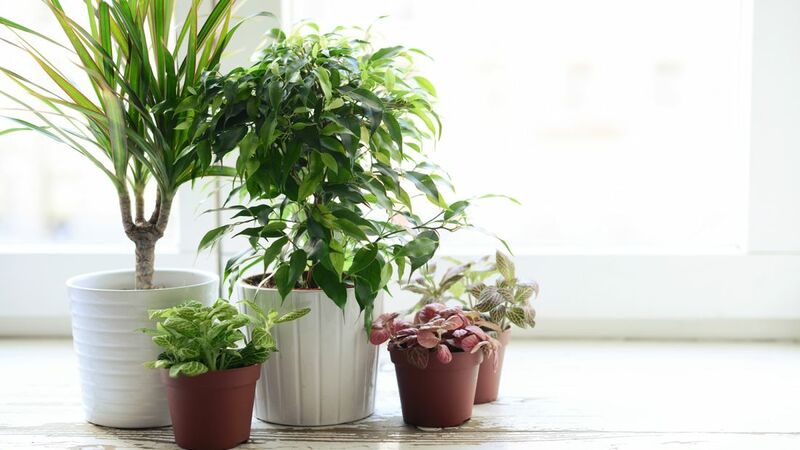 They are self-watering, preventing you from under-watering or over-watering your delicate houseplants. You can go on vacation for up to a month and the Parrot Pot will take care of your precious basil plant for you. The four sensors measure light, temperature, moisture, and fertilizer levels and send the information to your phone so that you can analyze how your plant is doing. It’s the perfect assistant for someone who wants to develop a green thumb but isn’t quite sure how to start. With GROWTH, you never have to worry about your plants outgrowing their pots. The origami-like containers can expand so your growing plant has more room as it gets bigger. Created by the London-based design shop Studio Ayaskan, the white pots will give your apartment a minimal, modern vibe. The pots are not widely available yet, sadly. The studio recommends you subscribe to its newsletter to get an alert when they go on sale. PlantLink is another smart sensor that you can insert into your potting soil to detect the moisture level of your plant’s environment. Based on the type of plant, the device will text, email, or send a push alert to your smartphone to tell you when it needs to be watered. PlantLink also makes a smart valve that you hook up to your sprinklers to automatically water your plants. It has its own solar panel and can be programmed to water your plants based on changes in the weather. If you’re serious about your indoor gardening operation, consider Replantable's Nanofarm, a Kickstarter-backed tabletop produce system that requires zero oversight. You set it up once and wait for your food to grow. It works using Replantable’s Plant Pads, all-in-one seed and nutrient sheets that come in a number of different herb and salad-green varieties. For the Nanofarm, you just fill the tray inside with water, put in a Plant Pad, and close the door until your basil or butter lettuce is ready to harvest.